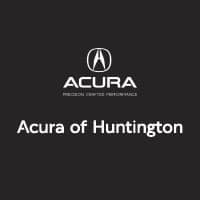 If you’re shopping for a sedan that combines a comfortable ride with high-tech features and total luxury, then you’re looking for the 2019 Acura TLX. The TLX interior delivers all of this and more with a range of standard and available features. Technology Package: Perforated Milano premium leather-trimmed interior, upholstery with contrast stitching and piping (V6 only), and more. A-Spec® Package: A choice of Black Alcantara® or Red leather seating with contrast stitching and piping, a black headliner, three-level heated and three-level ventilated front seats, a wireless charger, and more. Advance Package (Requires Technology Package): Wireless charger, white accent lighting, three-level heated rear outboard seats, a heated steering wheel, and more. Visit our showroom in Huntington to step inside the TLX and experience its luxury features for yourself. Take a look at the different package options to decide which interior best suits your needs, then take your favorite for a test drive. Contact us with any questions about the TLX lineup or to learn more about the other TLX features. 0 comment(s) so far on What’s Inside the 2019 Acura TLX Interior?